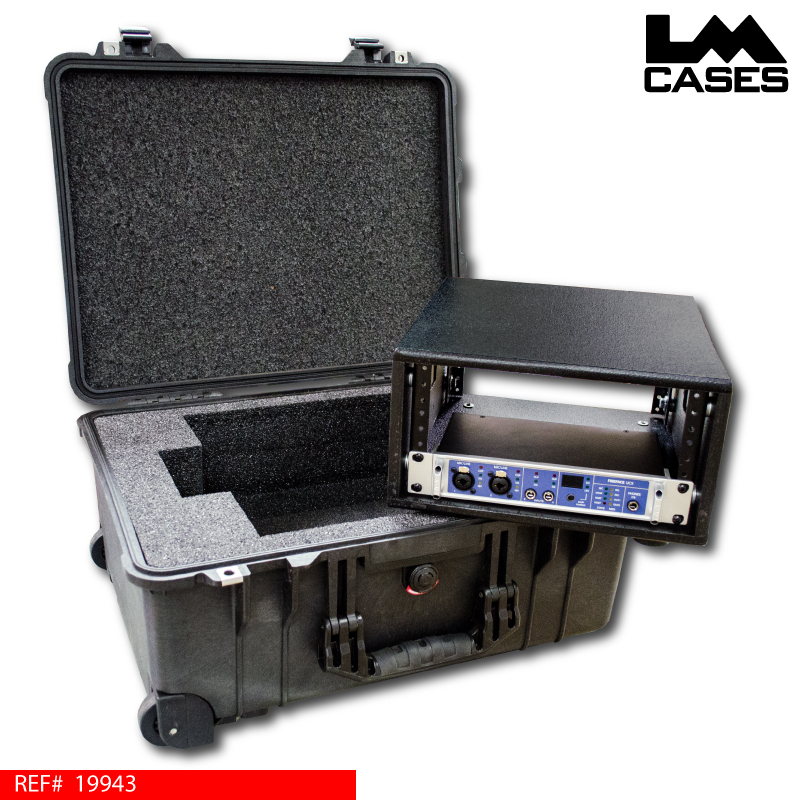 This case is designed to hold half width rack mounted components like wireless microphones, recording interfaces and processors. The rack portion of the case is built out of 1/2" baltic birch plywood and features front & rear rack rail. The rack is finished with our black textured coating. 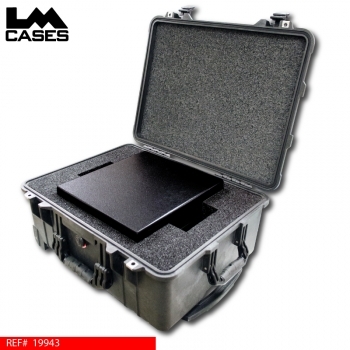 The exterior case is a Pelican 1560 with a custom CNC cut foam interior. The case is completly waterproof and features a retractable handle and wheels.